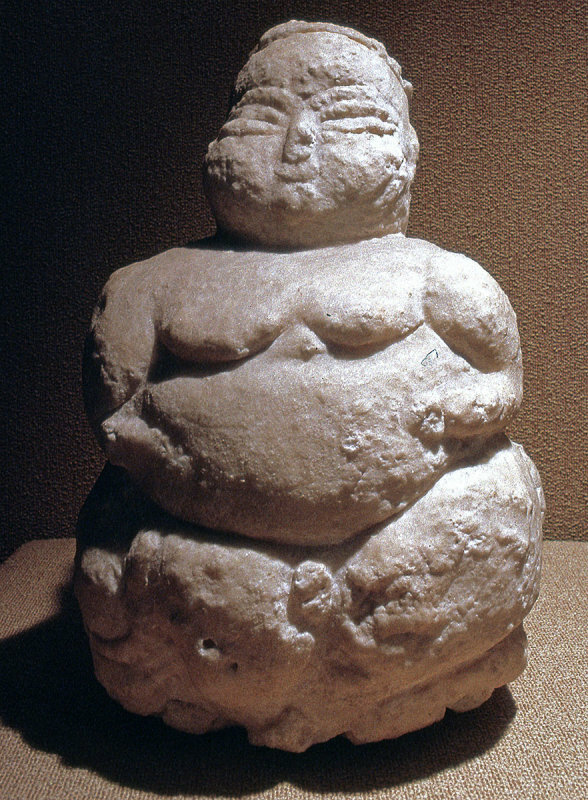 Clay figurine of a naked mother goddess. From Canhasan (near Karaman). Chalcolitic, circa 4750 BC. Sources: Anatolian Civilizations Museum, Ankara & 'Guides Bleus: Turquie' - Edition 1986.